This club is for everyone who enjoys sewing. This a day just for sewing. Every week you can bring your machine & a project you want to work on. Enjoy the company of other sewing enthusiast. If needed, get assistance if you have questions on how to proceed. All machines, all genres, all skill levels. Just for fun. 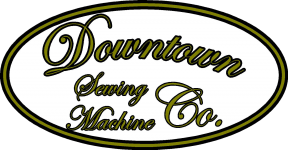 Copyright © 2007-2019 - Downtown Sewing Machine Co.